The insights have been very helpful in showing me where my leads are coming from, giving me the ability to see where I need to put more effort. I love how LeadsRx gives me specific information that is really helpful and not vague like many other applications out there. It's also been instrumental in helping me to see the efforts of my referral campaigns in terms of what's working and what's not. Not to mention, it was a quick process to set up and the stats began rolling in pretty quickly. The report was easy to understand and I'm better able to tell where my money is coming from. I would recommend this to anyone who want a tool to give them better insights on their traffic. I'd love to see a little more info in the digest. It would help when things are busy and you really don't have the time to login and check the deets. It would also be nice to see more specific details about visitors who abandon the site. It's an amazing tool to give you better insight to where your traffic and true customers are coming from. I'm able to see the pattern in my sales, which helps me to get a better grasp of where I put my marketing dollars. I have a deep appreciation for this platform, which I describe as Google Analytics on steroids. The customer / Sales side is very helpful for on boarding as needed for the goals you wish to track. With the cost, comes the manual implementation of much of the tracking, and unless you are implementing it correctly could get some false readings. Otherwise however it is a robust platform for capturing as much conversion data as you would like to track. Attribution, for online donations - it is easy to see the high level view, however when refining on what has worked and really planning for a 360 touch point on marketing strategy it is great to finally get a hold of the multi-touch attribution. In particular to seeing how traffic is driven from e-comms, through site content to final conversion. "Much needed tool in a multi-channel world"
The dashboard could be more intuitive. Unless you've spent a lot of time in each section, it would take a while for a new user to find what they're looking for. The question of attribution. A lot of our clients are running multiple channels, whether it's through us at AudienceX, in-house, or with another vendor. And because none of the other channels communicate with each other, the client and their vendors aren't able to understand the customer journey online. With LeadsRX, we are able to present these customer journeys and each touchpoint to show how each channel impacts the decision making of the customer. A large benefit of using LeadsRx is getting to understand the channels other than the ones we are currently running which allows us to provide insight and recommendations whether it's budget increase/decrease, allocation, adding/turning off other channels, or changes to the landing pages of the site. 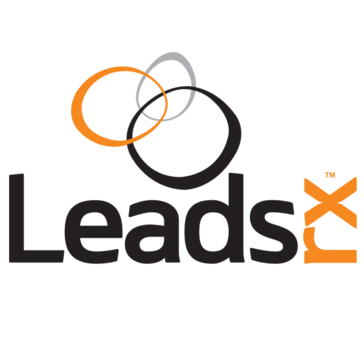 "LeadsRx is one of the most complete marketing attribution tools available"
LeadsRx enables us to understand who our customers are and when they are on our site. It's an easier interface than Google Analytics because the reports are pre-made. I love its dashboard and every piece of the puzzle of our user data is supplied in nice bits and pieces. The only dislike I have is the individual user data supplied, if it could be mapped out vs a list by IP address, that in itself would be a KPI report. Digital marketing encompasses a spectrum of data and information. LeadsRx has enabled our team to understand the market and users. This has enabled us to compete on a level playing field against competitors and derive more value from our marketing campaigns. We like LeadsRx so much that we actually offer it to our users too. My company - LanderApp offers LeadsRx to our users in the form of an Advertising Grader. It complements our own reporting for our customers handily. "Marketers are looking to perfect the science of marketing attribution- LeadsRx has the solution!!" I have several clients using LeadsRx and each are impressed with the breadth of the solution, the user interface and the company has great customer support. I have noticed that they have created a simple and powerful way to manage your ad spend both on the enterprise side and on the e-commerce sides of the business. I have been very impressed. So far, my team of consultants have not had any negative issues, and even more importantly, my clients who have been using LeadsRx have been very happy with their ROI. There are other solutions out there, but this solution is the most powerful because of the tool itself, the team behind it seems to care and they handhold you the entire way when you need help or insights. My clients using the soltution have a better way to transparently see what works in their marketing efforts and concentrate on using the knowledge LeadsRx supplies them to keep tweaking their ad and sales efforts. I have used the tool as part of some of the management teams I am consulting with, and it is truly powerful. LeadsRx goes beyong just digital touchpoint and is an agrregrator of all offline and online marketing insights. "Useful product evolving to the right path"
The proposal to track the attributions of marketing is very strong. We did the trial of the tool with great expectation. It was relatively simple to integrate and begin to see reports and dashboards. The first insights from which sources bring the greatest number of conversions is very good. The tool was apparently built to operate with e-commerce sites and not to SaaS companies. With some effort on our side, we were able to adapt the integrations and printing of tracking pixels. However, something that is still missing in the tool is the ability to drill down into the UTMs to know which media, campaigns and content work best for each type of conversion. A good improvement would also be to create attributes in conversions and not have to create several different conversion types. If the assignment needs are more basic, it is already a great product. For more complex assignment models, they are on the right track. We are trying to improve our vision of marketing investments. Both paid, and organic. Having the vision of which campaigns, websites and content that have better performance is critical. The clearest benefits are the expense efficiency of the entire marketing department. "Great tool to make the complicated tangible "
I love the aggregation of data from all the different sources. Being able to watch customer paths from where they first visited you then how often they came back before converting was very helpful with attribution. There was a learning curve to be sure. I was hoping to have less in the way of understanding all the different charts and more guidance on how to leverage all this great data. It was mainly me not spending enough time on it. The customer support was excellent and they always went out of their way to help. If you have multiple sources of advertising or efforts and you can't pin point the roi on all of them use this. The return on investment is immense when you take into account how easy it is to spend a lot of money on new customer efforts. The major benefits we gained were the insights to help our clients understand what is working and what isn't. When you are dealing with 10s of different channels customers can find you on it was invaluable in measuring our ROI. Finding out referring sites was also a major bonus so we knew where to attribute more funds while dumping the duds or tweaking the messaging. "The missing piece in marketing analytics"
LeadsRx fills the very specific need marketing executives have to understand pipeline marketing contribution to pipeline from tofu to tofu. Provides us with the insights into the effectiveness of our marketing like no other tool in the market and at the friction of the cost of any approach to the problem with a BI tool. Fully integrated to company's system environment and easy to use. Very robust tool, enterprise ready and scalable. Great implementation and support team. Nothing really up to now and we have been using the application for more than one year now. High satisfaction also due to the good responsiveness of the company to inputs to their roadmap. LeadsRx made a world of difference to our ability to understand marketing contribution and is in my mind an absolute need for every marketing department in B2B. Not just marketing attribution but really good understanding of marketing contribution to pipeline which has become one of the major objectives of B2B marketing. We were able to improve our marketing spends and campaign design across and along the sales funnel to maximize impact of our marketing dollars. "Industry Leading, Unmatched Attribution Tracking"
Being able to track non-digital attribution from TV spots, radio appearances, and direct print publications. Seamless FB and Adwords spend syncing. Nothing, We love the software and support LeadsRX provides us! Give it a try, you will be amazed and I believe they have a trial. Their support team is really helpful and goes above and beyond more than any company I've ever seen before! Helping to identify how different campaigns contribute to our overall revenue, and where to invest our advertising dollars online and offline. "Very good app for my business"
I like the way it breaks down the week in summary. Has sales broken down by this week and last. This gives you an idea where you stand. I don't dislike anything and therefore do not have a bad opinion. I'm not using the full product yet but the problems I'm using for it at this point is for sales gauge from week to week. "LeadsRx Attribution User - Website Leads "
The dashboard is a great tool and it's an easy way to get a quick glance at your attribution metrics. Ability to download the reports and share via PDF could be enhanced. Also, explanations on the metrics and data points. Website lead gen for our sales team. The benefit is the ability for us to see which channels are producing the most lead gen for our business. Ability to track our prospects at a micro level, allowing us to make more informed decisions on spend vs return. It love that we are continually learning and gaining insight. We don't have any dislikes that I can think of. The LeadsRX Team are great to deal with. If you are unsure if its right for you give it a try you might be surprised. We were seeking to understand our attribution better. We not have a good understanding of the channels that are working for us. The path to conversion is really interesting and has provided a bunch of insights. "Great service to better your business "
Super friendly, extra personable and hard-working/dedicated support team here, any issues and they'll sort you out! "Finally, a better way to measure how our blog content contributes to our funnel." Flexible attribution reporting giving me insight into content performance that Google Analytics and KISS can't. Nothing really. While they integrate with Segment, I feel the integration could be improved. Be sure you're serious about attribution marketing. You need a business imperative to prioritize attribution and you need someone who is prepared to regularly use it. The business problem is simple. We invest a ton of resources and time into content development and marketing. But it's difficult to determine ROI for these efforts. Leadsrx helped us get closer to a true measure of our content performance. I like the ability to see, all visits to our site, where they are visiting, and how often they are doing so. It allows me the ability to have conversations with potential customers that are direct for them. The ability to view the client in SFDC once it has been pushed. I enjoy using the solution alongside my other analytic reports we have. There is a lot of ease of using this solution over others. I am able to reach out to clients faster with a better conversation. We are able to show our clients exactly where their inbound leads are coming from across different digital traffic channels. It justifies our marketing strategies and helps fuel the discussion to increase budget in areas that are performing well. This platform for attribution is absolutely top notch. There are no issues so far in my and my clients use in Leads RX. The team there is also amazing. I do not have any issues w/ the platform at this time. Connecting the dots in digital attribution. I sell display so being able to connect a user that has view through traffic to specific actions is key. This platform makes that happen. It's very simple to use and the dashboards make sense. I like the conversion profiles, think once we run more campaigns we can see more data. Currently trying to integrate it with Domo. Trying to figure out conversion rates on various campaigns. Learning what channels are driving the traffic and conversions to our site. I would recommend LeadsRX for people who really want to see how their advertising dollars are affecting their sales. "This has helped me alot"
I like how leadsrx indicates how many orders were received via the entry method to my website. Attempting to find out what venue customers are coming to the site to place orders from. The ultimate pairing of service, solutions, and cost affordability. "Use LeadsRX Daily. Love it!" I like how it remembers a user across numerous activities. When I then call a prospect, I can see what he was interested in. I also like the financial analysis to help determine which campaigned are cost effective. The newly added search feature removes the main thing I used to dislike about it. LeadsRx is priced at an extremely competitive point and the technology is absolutely phenomenal. They're up there with other platforms but the pricing is a fraction of the cost of the competition. There isn't much I don't like about LeadsRx at all. It's a great platform. Give them a try! They're well worth it. We're looking for better lead tracking. LeadsRx offers this at a lower cost for the platform when compared to others. "Great to use! Really useful information. " Really helped us understand touchpoint attribution and where we needed to do more. We rolled this out across the whole team and this enabled everyone to have a central view of where the leads came from. Sometimes difficult to track all the way through, not every touchpoint, sometimes confusing dash. Nothing at this stage. We are perfectly fine. I don't have any negatives to share. I really enjoyed using this product. * We monitor all LeadsRx reviews to prevent fraudulent reviews and keep review quality high. We do not post reviews by company employees or direct competitors. Validated reviews require the user to submit a screenshot of the product containing their user ID, in order to verify a user is an actual user of the product. Hi there! Are you looking to implement a solution like LeadsRx?